Earlier today, FOX released their Fall 2018 schedule. Eagle-eyed readers will notice that several shows are missing from the lot. While the network hasn’t released their midseason schedule yet, we do know some of the shows that will be airing on FOX in early 2019. Returning FOX shows for midseason are Cosmos, Gotham, Hell’s Kitchen, MasterChef Junior, and The Orville. As reported earlier, this will be Gotham’s final season. New FOX shows (both dramas) are The Passage and Proven Innocent. FOX will also air a live production of the musical Rent. Here are the relevant portions of FOX’s press notes regarding the midseason shows. Emmy and Golden Globe Award winner and EMPIRE co-creator Danny Strong partners with David Elliot (“Four Brothers”) to tell the emotional story of one woman’s fight for the innocence of others, as well as her own. PROVEN INNOCENT follows an underdog criminal defense firm led by a fierce and uncompromising lawyer, who was wrongfully convicted in a sensational murder case that made her an infamous media obsession, a household name and a national cause célibre. The drama stars Rachelle Lefevre (“Under the Dome,” “A Gifted Man”), Vincent Kartheiser (“Mad Men”), Russell Hornsby (“Seven Seconds,” “Grimm”), Brian d’Arcy James (“13 Reasons Why,” “Spotlight”) and Tony Award winner Nikki M. James (“BrainDead,” “The Good Wife,” “The Book of Mormon”). The live musical production of the groundbreaking, Tony Award- and Pulitzer Prize-winning musical RENT comes to FOX on Sunday, Jan. 27, 2019 (7:00-10:00 PM ET live/PT tape-delayed). A re-imagining of Puccini’s “La Boheme,” and set in New York City’s gritty East Village, RENT tells the unforgettable story of seven artists struggling to follow their dreams during a time of great social and political turmoil. Winner of four Tony Awards and the Pulitzer Prize, writer/composer Jonathan Larson’s tour de force continues to offer an inspiring message of hope and friendship. Acclaimed film, television and theater producer Marc Platt (“Grease: Live,” “La La Land,” “Wicked”), along with the estate of writer/composer Jonathan Larson, will executive-produce the live musical event. Emmy and Golden Globe Award winner Danny Strong (EMPIRE) partners with David Elliot (“Four Brothers”) to tell the emotional story of one woman’s fight for the innocence of others, as well as her own. PROVEN INNOCENT follows an underdog criminal defense firm led by MADELINE SCOTT (Rachelle Lefevre, “Under the Dome,” “A Gifted Man”), a fierce and uncompromising lawyer with a hunger for justice. There is no one who understands the power of setting an innocent person free more than Madeline. At age 18, she was wrongfully convicted, along with her brother, LEVI (Riley Smith, “Frequency”), in a sensational murder case that made her an infamous media obsession, a household name and a national cause célibre. Madeline runs the firm with her partner, EASY BOUDREAU (Russell Hornsby, “Seven Seconds,” “Grimm”), the very lawyer who helped set her free after seven years in prison. Their team also includes investigator BODIE QUICK (Vincent Kartheiser, “Mad Men”) and communications director VIOLET BELL (Tony Award winner Nikki M. James, “BrainDead,” “The Good Wife,” “The Book of Mormon”), who runs a true-crime podcast that follows each investigation. While a hero and a victim to some, Madeline’s bold and bullish tactics earn her a number of enemies – especially GORE BELLOWS (Brian d’Arcy James, “13 Reasons Why,” “Spotlight”), the prosecutor who initially put her away and still believes in her guilt. Despite Bellows’ ceaseless quest to see her behind bars again, Madeline will continue to defend others, even as she fights to maintain her innocence and searches for the real killer in her own case. The live musical production of the groundbreaking, Tony Award- and Pulitzer Prize-winning musical RENT comes to FOX on Sunday, Jan. 27, 2019 (7:00-10:00 PM ET live/PT tape-delayed). A re-imagining of Puccini’s “La Boheme,” and set in New York City’s gritty East Village, “Rent” tells the unforgettable story of seven artists struggling to follow their dreams during a time of great social and political turmoil. Winner of four Tony Awards and the Pulitzer Prize, writer/composer Jonathan Larson’s tour de force continues to offer an inspiring message of hope and friendship. Acclaimed film, television and theater producer Marc Platt (“Grease: Live,” “La La Land,” “Wicked”), along with the estate of writer/composer Jonathan Larson, will executive-produce the event. Additional details and auspices to be announced. “Rent” originally was produced in New York by New York Theatre Workshop and on Broadway by Jeffrey Seller, Kevin McCollum, Allan S. Gordon and New York Theatre Workshop. Keep up with all of the FOX cancellations, renewals and premiere dates by checking out our FOX status sheet. What do you think? 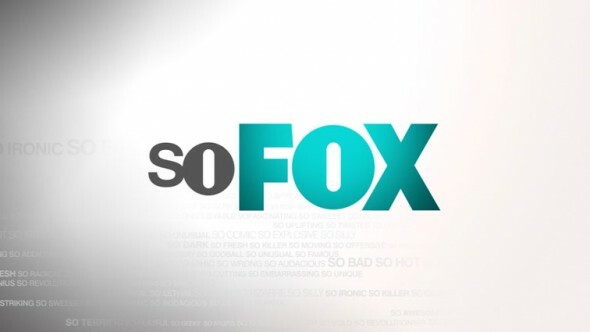 Which FOX shows do you plan on watching this season? More about: Cosmos, Cosmos: canceled or renewed?, Gotham, Gotham: canceled or renewed?, Hell's Kitchen, Hell's Kitchen: canceled or renewed?, MasterChef Junior, MasterChef Junior: canceled or renewed?, Proven Innocent, Proven Innocent: canceled or renewed?, The Orville, The Orville: canceled or renewed?, The Passage, The Passage: canceled or renewed?